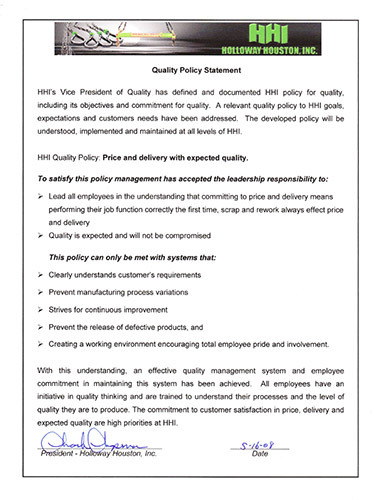 Quality Policy | Holloway Houston, Inc.
To deliver constant high level quality performance in accordance to our customers requirements. 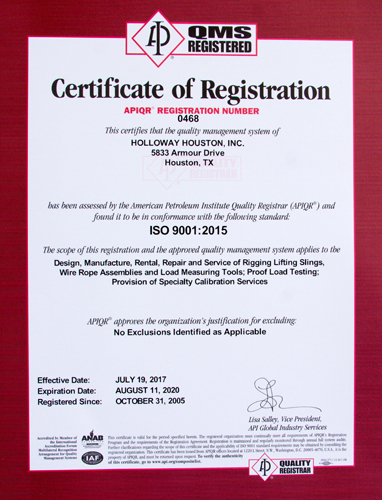 Leadership and commitment: Holloway Houston’s quality management program has been certified to the ISO 9001:2000, API Specification Q1, ISO/TS 29001 Standards since October 31, 2005 and has recently been re-certified to the new ISO 9001:2015 quality management system. 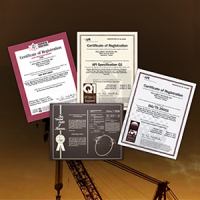 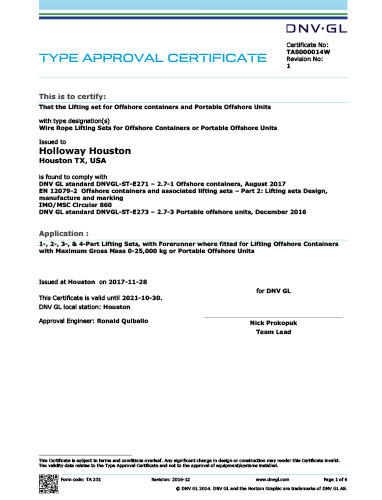 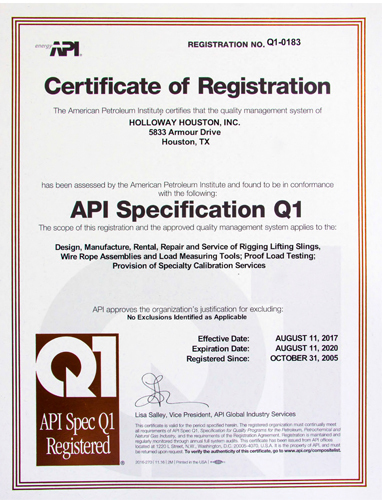 Holloway Houston, Inc. is the first API Specification Q1 and Quality Plus sling shop in the United States.